A man previously indicted for allegedly running a fentanyl trafficking ring in Massachusetts is being charged with a drug user's death. 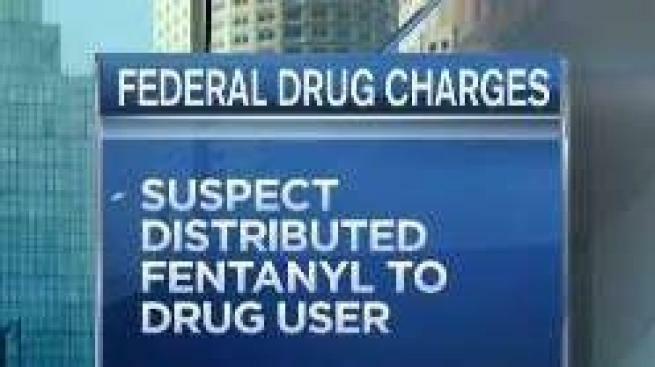 Prosecutors say on Friday that 28-year-old Sergio Martinez is facing charges in Concord, New Hampshire that include aiding and abetting a distribution of fentanyl that resulted in a death and money laundering. According to documents filed in federal court on Wednesday, Martinez allegedly distributed fentanyl to someone identified as K.B., which resulted in his death. The U.S. Attorney's Office for New Hampshire says Martinez and his brother Raulin Martinez allegedly used a "vast network" of distributors to sell the drug in Massachusetts and New Hampshire. Their attorneys have not been immediately identified through online court records systems. The brothers were indicted in April with 43 others as a part of a drug ring bust.